Sometimes a book sideswipes you. Takes you so by surprise, you walk around dazed for days. 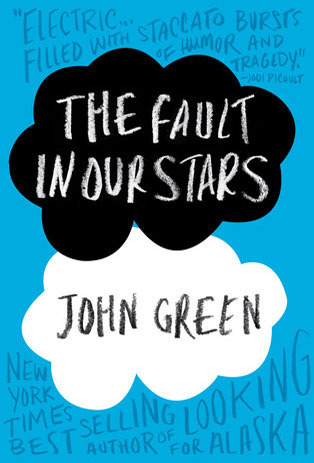 John Green’s The Fault in Our Stars is one of those books. Enthusiastic endorsement is not the expected response for a book about a teenaged, terminal cancer patient. With the first sentence, however, the main character, Hazel’s, disease and depression are introduced with such witty directness that the subject matter becomes palatable. The author risks alienating his audience with the subsequent onslaught of weeping, but through the use of humor as a counterpoint, he assures his readers they won’t be forlorn throughout the entire book. Hazel handles her condition with hilarity and grace, convincing the readers to do the same. Throughout the book, Green weaves humor and sadness into a bittersweet combination, guiding the reader through the spectrum of human emotion and leaving her transformed at the end. It’s now one of my top YA pics. Give it a try. You won’t be disappointed. P.S. If you like this one, you can check out more of my favorite books on my Goodreads page.